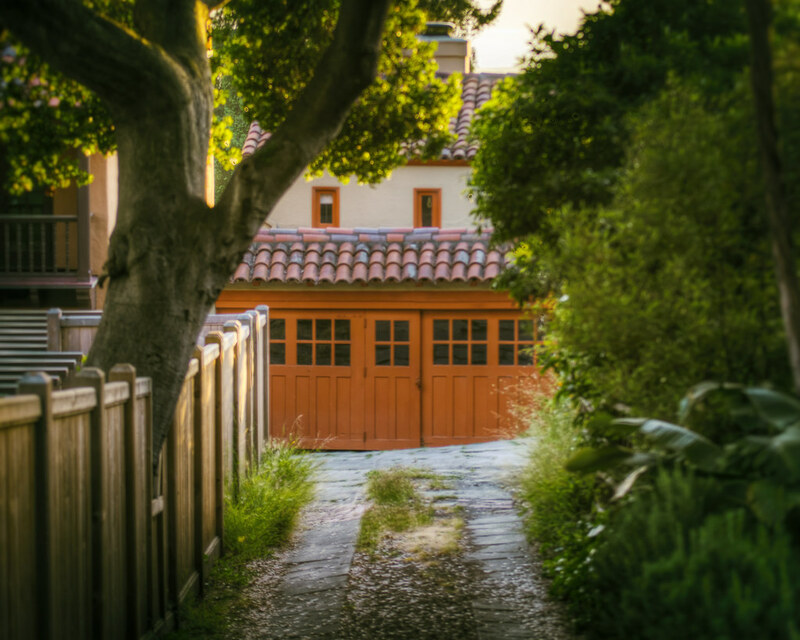 Down the tiny alleys, side streets, and driveways of Berkeley are all kinds of odd old garages. My favorite details of these structures usually come down to scale; the driveway tracks and garage measurements were clearly built to be just large enough for the cars of the period. As American vehicles have grown larger, they now appear comically mismatched with anything but a vintage car in the scene. 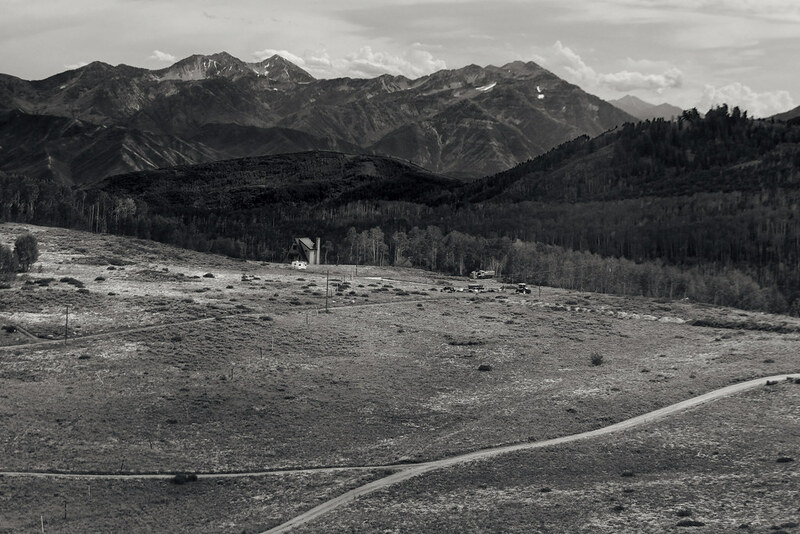 Adding to my collections of homesteads in places like Vermont and Wyoming is today’s shot from outside Park City, Utah. Looking closely, you can see the array of vehicles in the landscape, looking extra-miniature against the mountains beyond. 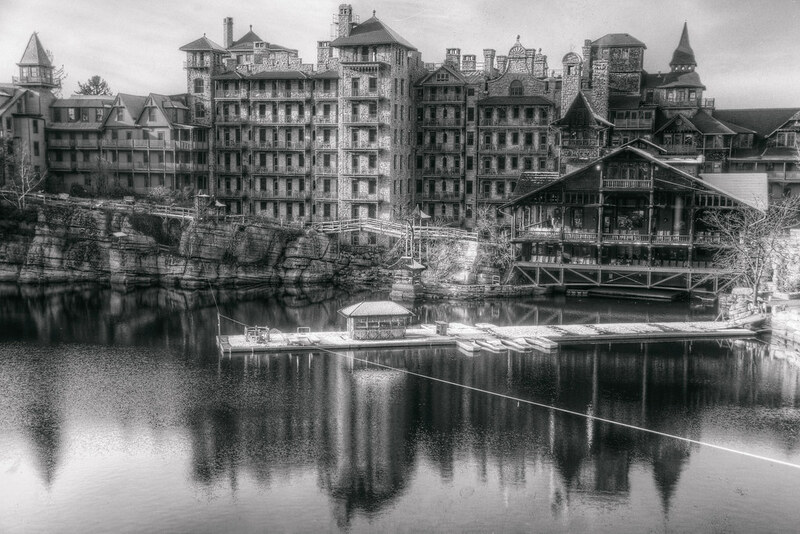 From modern lasers to something a bit older: the lakeside view of Mohonk Mountain House, looking much as it has for more than 100 years. The sheer face of the cliff contines into the structure and reflects in the water.